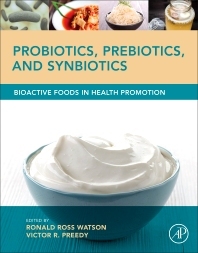 Probiotics, Prebiotics, and Synbiotics: Bioactive Foods in Health Promotion reviews and presents new hypotheses and conclusions on the effects of different bioactive components of probiotics, prebiotics, and synbiotics to prevent disease and improve the health of various populations. Experts define and support the actions of bacteria; bacteria modified bioflavonoids and prebiotic fibrous materials and vegetable compounds. A major emphasis is placed on the health-promoting activities and bioactive components of probiotic bacteria. 3 Which Options to Treat Diverticular Disease? 2 Gut Microbiota in IBS: Harmful or Beneficial? 3 Is the Alteration of Gut Microflora Harmful? 4 Is the Alteration of Gut Microbiota Beneficial? Chapter 53: Probiotics and Health: What Publication Rate on Probiotics, Prebiotics, and Synbiotics Implies?